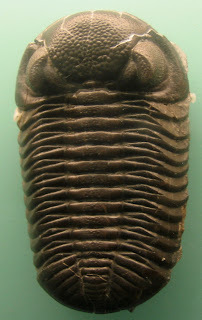 Phacops rana trilobite fossil found in Ohio. Animal existed during the Devonian Period. Fossil on display at Smithsonian Museum of Natural History (August 2010).